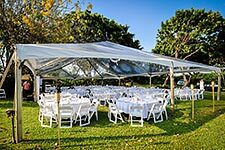 Our annual fundraiser held at the Maui tropical plantation for an elegant evening celebrating the spirit of aloha. 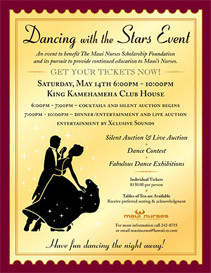 Enjoyed by all is Hawaiian entertainment, a silent auction, a live auction, an expanded Photo Booth, and dancing at the end of the evening. 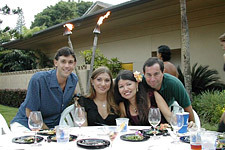 Held at the Dunes at Maui Lani with 144 participants followed by an awards luncheon. Prizes for first, second and third place plus door prizes for all. Silent and live auction. Annual event held in October. Held aboard the Norwegian Cruise Line ship; Pride of America, Grand Wailea Resort and Spa and The King Kamehameha Golf Club 'Marilyn Monroe House'. Attended by 175 - 200 people for an evening full of fun, good food, silent auction, live auction and dancing. Annual event held in May, 2007, 2008, 2009 and 2010. Held aboard the Norwegian Cruise Line ship; Pride of America, Grand Wailea Resort and Spa and The King Kamehameha Golf Club 'Marilyn Monroe House'. 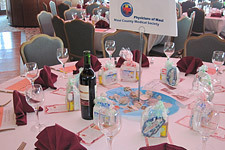 Attended by 175 people for an evening full of fun, good food, silent auction, live auction and dancing. Annual event held in May beginning 2011. 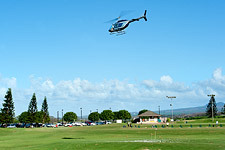 Held at the Dunes at Maui Lani with close to 1,000 participant donations enabling them a chance to win wonderful prizes. The actual day of the event and putting contest is held along with on-course blood pressure checks. Several fundraising dinner coupons are sold for Maui's popular restaurants such as Ruby's, Outback and Flatbreads in an effort to encourage diners to come in on Maui Nurses Scholarship Foundation dining nights and our organization receives a donation percentage from the restaurant for their attendance.